For those who are scared of flying, an array of apps, websites and classes teach relaxation techniques and explain how airplanes work. This summer, musician Katie Sucha will be touring England. And she's scared. "It really is a serious mental challenge to walk through those doors and get on the plane," she explains. Sucha's fear of flying is so bad that when she was a teacher in Mississippi and wanted to visit her family in Michigan, she'd take a 14-hour bus ride rather than spend two hours in the air. The upcoming trip to Europe is a great career opportunity, but she's terrified. She can't stop watching the news about the two deadly Boeing 737 Max crashes less than five months apart. Sucha gets nervous just talking about them. "You know, if this happens with one type of plane, how many other examples of a faulty sensor or ... something malfunctioning." Boeing 737 Max airplanes have been grounded worldwide, and incidents like these are actually incredibly rare. But instructors who help people with fear of flying are reporting that enrollment in their classes has more than doubled in the wake of the crashes. An app called Overcome The Fear Of Flying offers hypnosis relaxation. The list goes on and on. There are also myriad courses, such as those offered by FearlessFlight, Fear Of Flying Help and Soar, which has been around since 1982. Many of these classes are taught by retired pilots. Soar's founder, Capt. Tom Bunn, used to fly for United Airlines and is now a licensed therapist. Capt. Tom Bunn is a retired United Airlines pilot and a licensed therapist. He founded Soar, which offers courses to overcome fear of flying, in 1982. Soar has several packages: for $180, a set of DVDs features Bunn explaining things like how planes fly and why they don't just drop out of the sky (a common concern he hears). Bunn also teaches relaxation techniques. Ben Kaminow, a graduate of Soar, says it's worth the price. He says his fear of flying "was debilitating to my life. I would not go away with my family." Kaminow's phobia started in 1993, when his vacation flight from New York to Mexico hit strong turbulence. When he got back to New York, he vowed never to get on a plane again. And for the next eight years, he didn't. He even canceled his honeymoon to Greece. They drove to North Carolina instead. Eventually, Kaminow enrolled in Soar's premium package, which includes two hours of counseling. 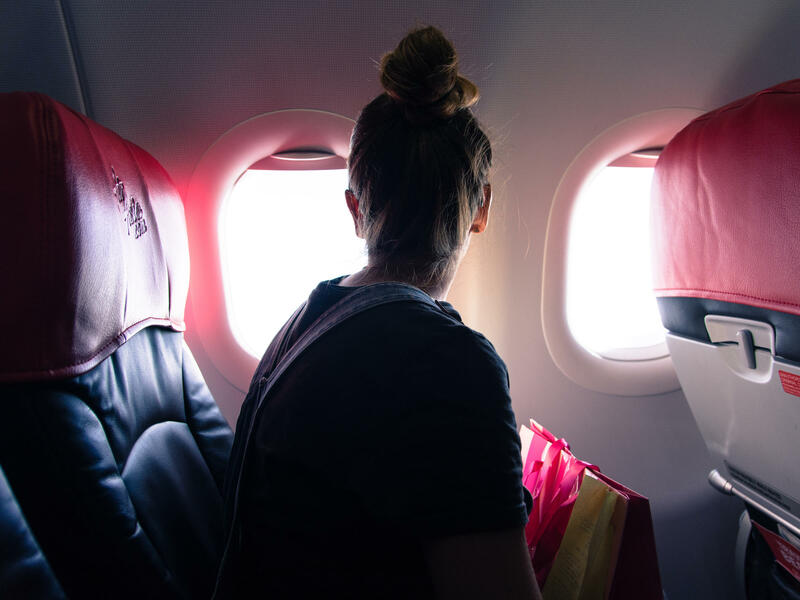 The package even includes a letter to give to your flight attendant explaining that you're working on your fear and would love to meet the captain before takeoff. For a few months, Kaminow could fly again. Then Sept. 11 happened. Kaminow was working at the World Trade Center. "I was in the first tower, plane hit the building and I ... couldn't get in a plane again. So all these trips I had planned, after going through this whole thing to be able to fly again, I shut it down." It would take Kaminow another four years to board a plane again. "The fear was just being inside, being uncomfortable and not being able to be in control," he says. "You know when you drive a car, you have the control. Here I didn't have the control. I didn't know how to handle it." Kaminow finally did the Soar training sessions again — the relaxation techniques and trusting that pilots are highly trained and that they too want to get home safely. He says the recent Boeing 737 Max crashes did not worry him. In fact, just last week, he took a flight to Los Angeles. For him, being able to even get on that plane without being afraid was the real journey. Boeing 737 MAX airplanes have been grounded worldwide. This after two deadly crashes within less than five months. There was particular concern here because it was the same kind of plane. But crashes remain really rare. And yet an entire industry exists to help fearful fliers, including online classes. And since the two Boeing crashes, enrollment in some cases has more than doubled. Here's NPR's Jasmine Garsd. JASMINE GARSD, BYLINE: This summer, musician Katie Sucha will be touring England, and she's scared. KATIE SUCHA: It really is a serious mental challenge to sort of walk through those doors and get on the plane. You know, I often have to take anti-anxiety meds in order to make it possible for me. GARSD: Her fear is so bad, when she was a teacher in Mississippi and Sucha wanted to visit her family in Michigan, she'd take a 14-hour bus ride rather than spend two hours in the air. And then there's that upcoming trip to Europe. It's a great career opportunity. But still, she's freaked out. She can't stop watching the news about the Boeing 737 MAX. She gets nervous just talking about it. SUCHA: You know, if this happens with one type of plane, how many other examples of, you know, a faulty sensor or something malfunctioning, and pilots who are highly trained have no idea how to deal with it? GARSD: There's this whole industry built around fear of flying. For $2.99, you can buy an app called, Am I Going Down? There's another one offering hypnosis relaxation for $4.99. The list goes on and on. There's also a myriad of classes, many taught by retired pilots. There's fearlessflight.com, fearofflyinghelp.com and another one, SOAR, which has been around since 1982. Here's an excerpt from the SOAR online video seminar. TOM BUNN: It's like being in an elevator. And you're coming up to the floor where you're going to stop - you feel a little lightheaded. So you might think the airplane's falling, but no, it's not. It's just slowing down its climb. GARSD: That's SOAR's founder, Captain Tom Bunn, a retired United Airlines pilot and licensed therapist. His course, which includes videos and counseling, starts at $200. Bunn explains to clients how planes fly and why they don't just drop out of the sky. It is one common concern he hears. 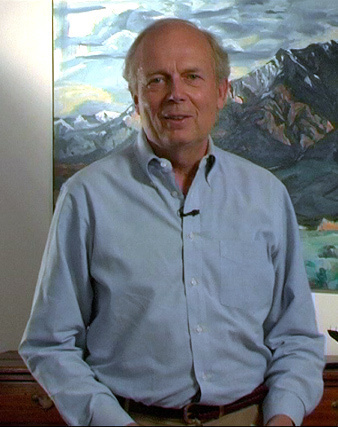 Bunn also teaches techniques to handle stress and fear. Graduates of SOAR, like Ben Kaminow, say it's worth the price. BEN KAMINOW: It was debilitating to my life. I would not go away with my family. GARSD: Kaminow's phobia started in 1993 when his vacation flight from New York to Mexico hit strong turbulence. He was terrified. When he got back to New York, he vowed never to get on a plane again. And for the next eight years, he didn't. He even canceled his honeymoon to Greece. They drove to North Carolina instead. Eventually, he enrolled in SOAR. KAMINOW: He basically went all about how planes fly, how they get up in the air, what turbulence really is. GARSD: His package even included a letter to give to your flight attendant explaining that you're working on your fear and would love to meet the captain before takeoff. Kaminow could fly again. And then 9/11 happened. He was working at the World Trade Center. KAMINOW: I was in the first tower, plane hit the building. And I could not get - I couldn't get in a plane again. So all these trips I had planned after going through this whole thing to be able to fly again - I shut it down. GARSD: It would take Kaminow another four years to board a plane again. KAMINOW: The fear was just being inside, being uncomfortable and not being able to be in control. You know, when you drive a car, you have the control. Here I didn't have the control. I didn't know how to handle it. GARSD: He says he finally did the SOAR training sessions again - the techniques to handle stress and fear and trusting that pilots are highly trained, and they, too, want to get home safely. I asked Kaminow if the recent Boeing 737 crashes worry him. He says no. In fact, just last week, he took a trip to Los Angeles. For him, being able to even get on that plane without being afraid - that was the real journey. Jasmine Garsd, NPR News, New York. Transcript provided by NPR, Copyright NPR.